Download "Energy Taxation in Europe, Japan and The United States"
2 ENERGY TAXATION IN EUROPE, JAPAN AND THE UNITED STATES Summary of the energy taxation survey of electricity, fuels, district heat and transport in the EU and EFTA countries, Japan and the United States released by Finnish Energy Industries in November 21. 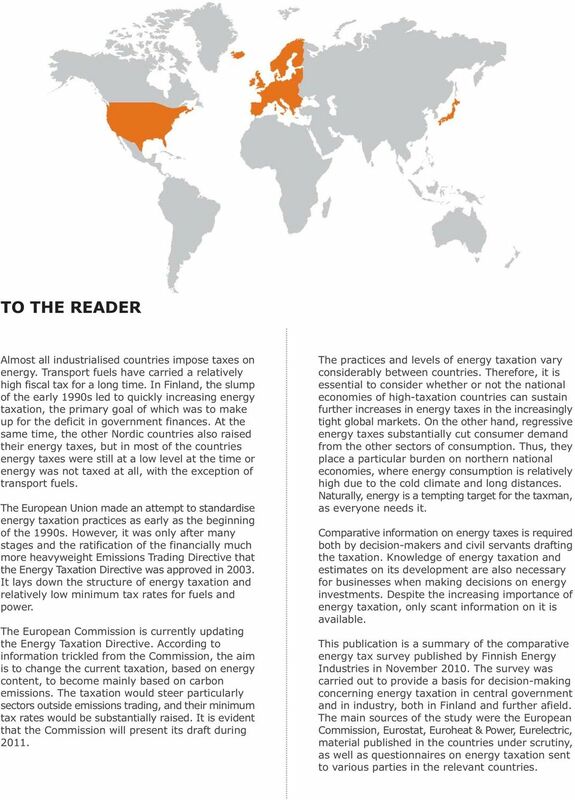 3 TO THE READER Almost all industrialised countries impose taxes on energy. Transport fuels have carried a relatively high fiscal tax for a long time. In Finland, the slump of the early 199s led to quickly increasing energy taxation, the primary goal of which was to make up for the deficit in government finances. At the same time, the other Nordic countries also raised their energy taxes, but in most of the countries energy taxes were still at a low level at the time or energy was not taxed at all, with the exception of transport fuels. The European Union made an attempt to standardise energy taxation practices as early as the beginning of the 199s. However, it was only after many stages and the ratification of the financially much more heavyweight Emissions Trading Directive that the Energy Taxation Directive was approved in 23. It lays down the structure of energy taxation and relatively low minimum tax rates for fuels and power. The European Commission is currently updating the Energy Taxation Directive. According to information trickled from the Commission, the aim is to change the current taxation, based on energy content, to become mainly based on carbon emissions. The taxation would steer particularly sectors outside emissions trading, and their minimum tax rates would be substantially raised. It is evident that the Commission will present its draft during 211. The practices and levels of energy taxation vary considerably between countries. Therefore, it is essential to consider whether or not the national economies of high-taxation countries can sustain further increases in energy taxes in the increasingly tight global markets. On the other hand, regressive energy taxes substantially cut consumer demand from the other sectors of consumption. Thus, they place a particular burden on northern national economies, where energy consumption is relatively high due to the cold climate and long distances. Naturally, energy is a tempting target for the taxman, as everyone needs it. Comparative information on energy taxes is required both by decision-makers and civil servants drafting the taxation. Knowledge of energy taxation and estimates on its development are also necessary for businesses when making decisions on energy investments. Despite the increasing importance of energy taxation, only scant information on it is available. 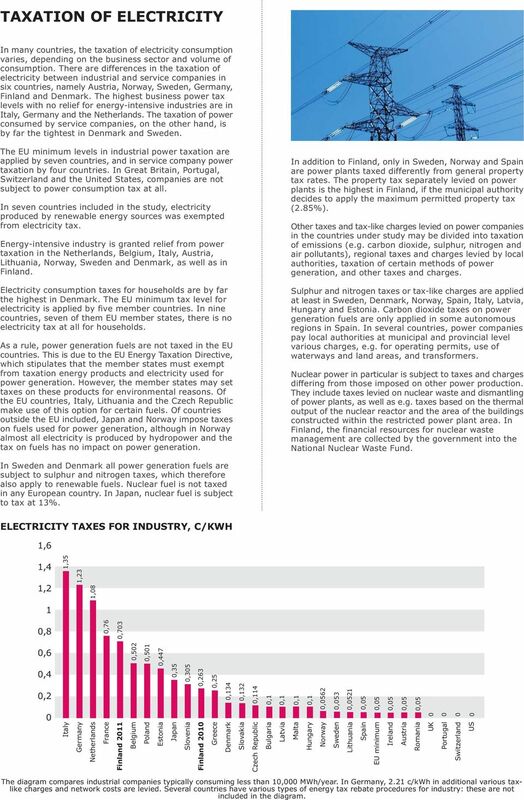 This publication is a summary of the comparative energy tax survey published by Finnish Energy Industries in November 21. 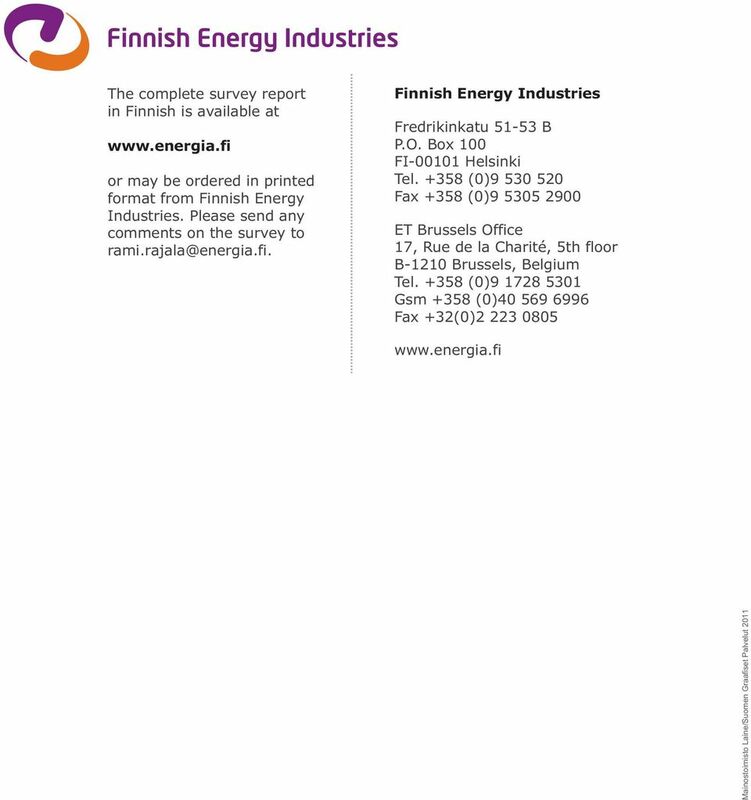 The survey was carried out to provide a basis for decision-making concerning energy taxation in central government and in industry, both in Finland and further afield. The main sources of the study were the European Commission, Eurostat, Euroheat & Power, Eurelectric, material published in the countries under scrutiny, as well as questionnaires on energy taxation sent to various parties in the relevant countries. 5 TAXATION OF ENERGY AND TRANSPORT IN 3 COUNTRIES The countries included in the survey are the EU member countries (excl. Luxembourg and Cyprus) plus Iceland,,, Japan and the United States. In addition to Finland, taxation on district heating was studied in,,, Iceland,,,, and. The survey focuses on the taxation of electricity consumption and generation, taxation of fuels in businesses and households, taxation of district heating production and consumption, and taxation of transport. With regard to transport, the survey covers the taxation of transport fuels and motor vehicle taxation based on environmental values, as well as tax subsidies and monetary incentives applied to the purchase and use of electric vehicles. The main focus of the survey is on excise taxation, but value added taxation and other tax-like charges are also touched upon. Tax deductions and exemptions have been taken into consideration to the extent that it has been possible on the basis of the material obtained. Various exceptions and reliefs are often particularly difficult to ascertain. 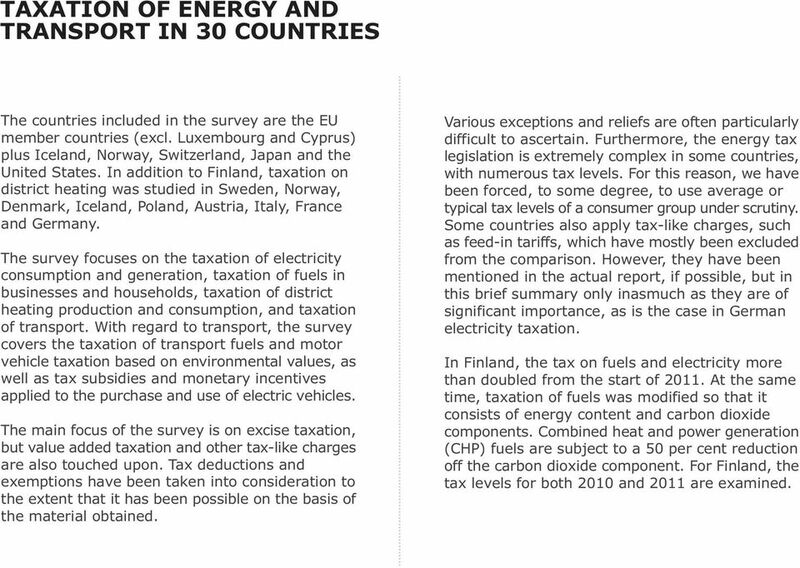 Furthermore, the energy tax legislation is extremely complex in some countries, with numerous tax levels. For this reason, we have been forced, to some degree, to use average or typical tax levels of a consumer group under scrutiny. Some countries also apply tax-like charges, such as feed-in tariffs, which have mostly been excluded from the comparison. However, they have been mentioned in the actual report, if possible, but in this brief summary only inasmuch as they are of significant importance, as is the case in German electricity taxation. 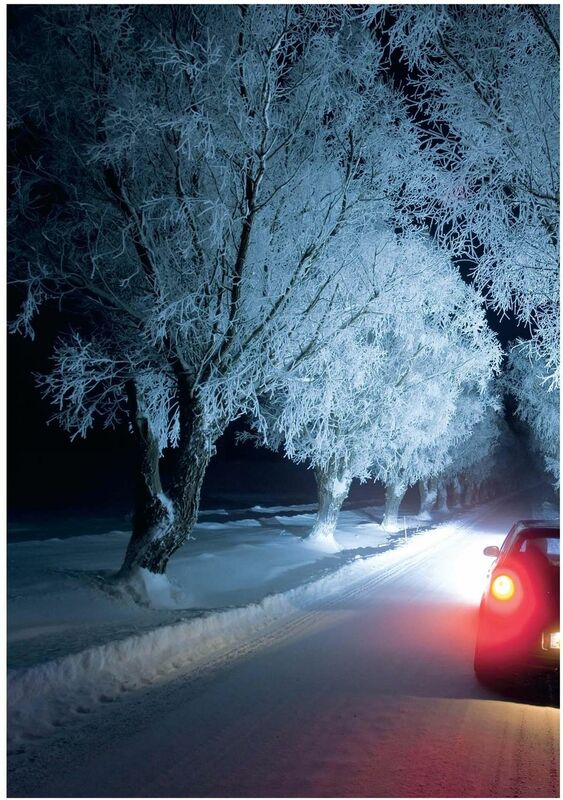 In Finland, the tax on fuels and electricity more than doubled from the start of 211. At the same time, taxation of fuels was modified so that it consists of energy content and carbon dioxide components. Combined heat and power generation (CHP) fuels are subject to a 5 per cent reduction off the carbon dioxide component. For Finland, the tax levels for both 21 and 211 are examined. 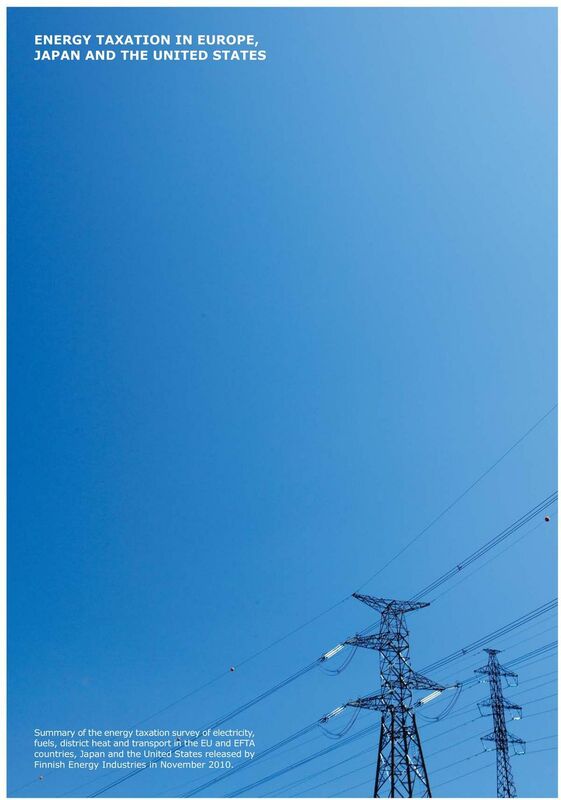 6 TAXATION OF ELECTRICITY In many countries, the taxation of electricity consumption varies, depending on the business sector and volume of consumption. There are differences in the taxation of electricity between industrial and service companies in six countries, namely,,,, Finland and. The highest business power tax levels with no relief for energy-intensive industries are in, and the. The taxation of power consumed by service companies, on the other hand, is by far the tightest in and. The EU minimum levels in industrial power taxation are applied by seven countries, and in service company power taxation by four countries. In Great Britain,, and the United States, companies are not subject to power consumption tax at all. In seven countries included in the study, electricity produced by renewable energy sources was exempted from electricity tax. Energy-intensive industry is granted relief from power taxation in the,,,,,, and, as well as in Finland. 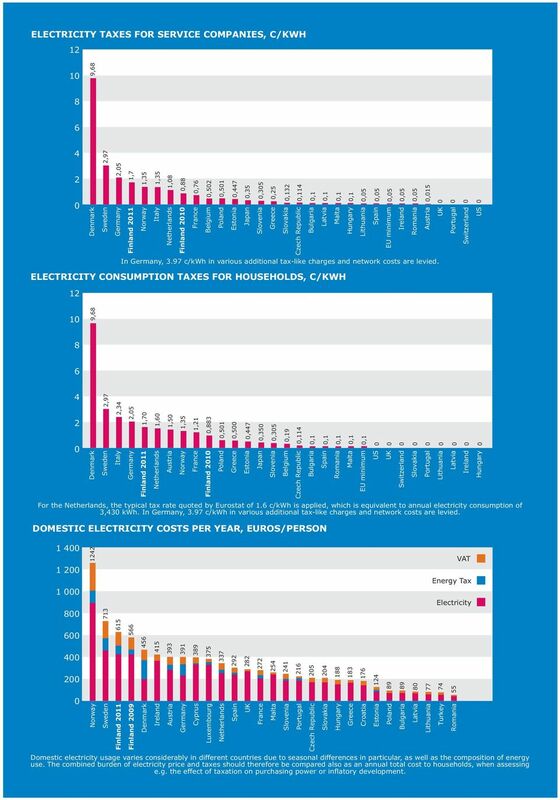 Electricity consumption taxes for households are by far the highest in. The EU minimum tax level for electricity is applied by five member countries. In nine countries, seven of them EU member states, there is no electricity tax at all for households. As a rule, power generation fuels are not taxed in the EU countries. This is due to the EU Energy Taxation Directive, which stipulates that the member states must exempt from taxation energy products and electricity used for power generation. However, the member states may set taxes on these products for environmental reasons. Of the EU countries,, and the make use of this option for certain fuels. Of countries outside the EU included, Japan and impose taxes on fuels used for power generation, although in almost all electricity is produced by hydropower and the tax on fuels has no impact on power generation. In addition to Finland, only in, and are power plants taxed differently from general property tax rates. The property tax separately levied on power plants is the highest in Finland, if the municipal authority decides to apply the maximum permitted property tax (2.85%). Other taxes and tax-like charges levied on power companies in the countries under study may be divided into taxation of emissions (e.g. carbon dioxide, sulphur, nitrogen and air pollutants), regional taxes and charges levied by local authorities, taxation of certain methods of power generation, and other taxes and charges. Sulphur and nitrogen taxes or tax-like charges are applied at least in,,,,,, and. Carbon dioxide taxes on power generation fuels are only applied in some autonomous regions in. In several countries, power companies pay local authorities at municipal and provincial level various charges, e.g. for operating permits, use of waterways and land areas, and transformers. Nuclear power in particular is subject to taxes and charges differing from those imposed on other power production. They include taxes levied on nuclear waste and dismantling of power plants, as well as e.g. taxes based on the thermal output of the nuclear reactor and the area of the buildings constructed within the restricted power plant area. In Finland, the financial resources for nuclear waste management are collected by the government into the National Nuclear Waste Fund. In and all power generation fuels are subject to sulphur and nitrogen taxes, which therefore also apply to renewable fuels. Nuclear fuel is not taxed in any European country. In Japan, nuclear fuel is subject to tax at 13%. ELECTRICITY TAXES FOR INDTRY, C/KWH 1,6 1,4 1,2 1,35 1,23 1,8 1,8,76,73,6,4,2 Finland 211,52,51,447,35 Japan,35,263 Finland 21,25,134,132,114,1,1,1,1,562,53,521,5,5 EU minimum,5,5,5 The diagram compares industrial companies typically consuming less than 1, MWh/year. In, 2.21 c/kwh in additional various taxlike charges and network costs are levied. Several countries have various types of energy tax rebate procedures for industry: these are not included in the diagram. 8 TAXATION OF FUELS In the study, the fuel tax levels of, and vary between companies, depending on whether or not they belong to the EU emissions trading scheme. With regard to excise duties on heavy fuel oil, natural gas and coal, the study includes excise duties in the EU and that are levied on companies within EU emissions trading. The excise duties on light fuel oil are included in relation to households and companies outside emissions trading. From the beginning of 211, Finland imposes the highest tax on heavy fuel oil in business use. The taxes are the next highest in Great Britain and. Of the other Nordic countries, levies a significantly lower tax on heavy fuel oil than Finland in 211, and none whatsoever. In, natural gas, oil and coal products used in light and heavy industrial processes are completely exempted from energy tax and, within EU emissions trading, also from carbon dioxide tax. Ten EU member states impose taxes on heavy fuel oil according to the EU minimum rate. Light fuel oil is subject to the heaviest tax in business use in, and. Natural gas is most highly taxed in business use by, and in 21. Ten countries impose no excise duties at all on natural gas used by businesses. Finland levies the highest tax on coal in 211. In 21, the highest taxes on coal were imposed by, and Finland. Light fuel oil in domestic use is most highly taxed in, and. In the United States and Great Britain, value added tax is the only tax levied on light fuel oil in domestic use. The combined tax burden of excise duty and value added tax is the heaviest in, and. The highest excise duties on domestic use of natural gas are in, and the. The same countries impose the highest taxes on natural gas also when value added tax is included. In addition to the Nordic countries, of the countries included in the study also,,,, and levy a carbon dioxide-based tax on heating and transport fuels. It transpires that the carbon dioxide taxation in is clearly the highest of the countries included, EUR 11/carbon dioxide tonne. The carbon dioxide tax rates of the other countries vary between EUR 25/tCO 2, the n tax being the lowest and that levied by Finland in 211 the second highest after. s high carbon dioxide tax is explained by the structure of Swedish energy taxation, where the carbon dioxide tax is an element considerably greater than fiscal energy tax. However, the carbon dioxide tax relief to industry granted by brings the tax levels for Swedish industry on average to that of the other countries, and from the start of 211, also below the tax levels in Finland. Exemptions or relief on carbon dioxide taxes are granted to companies within EU emissions trading in,, and. 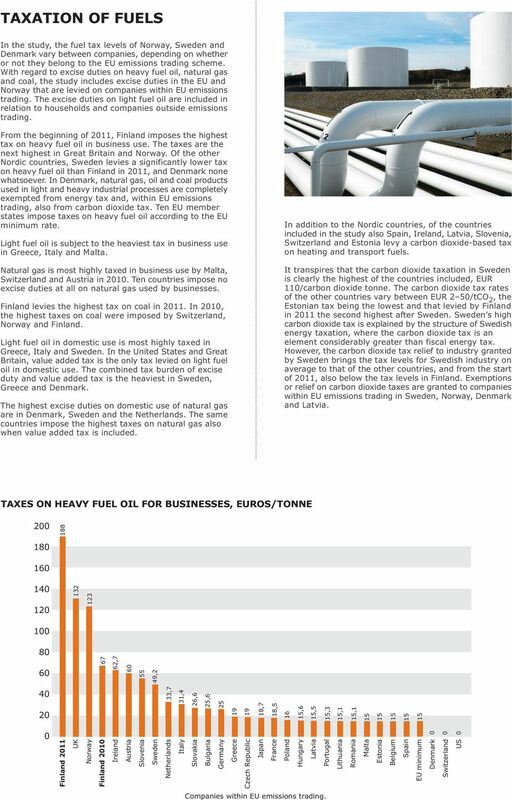 TAXES ON HEAVY FUEL OIL FOR BINESSES, EUROS/TONNE , , ,7 31,4 26,6 25, ,7 18, ,6 15,5 15,3 15,1 15, Finland 211 Finland 21 Japan EU minimum Companies within EU emissions trading. 10 TAXATION OF DISTRICT HEATING District heating fuels are subject to energy taxes in common with other fuels (see Taxation of fuels). In the district heat generation of the countries surveyed, heavy fuel oil and coal are the most highly taxed. Taxation of natural gas in district heat production would rise in Finland in 213 to the highest level of all the countries now surveyed, if the tax levels of the other countries remain unchanged. 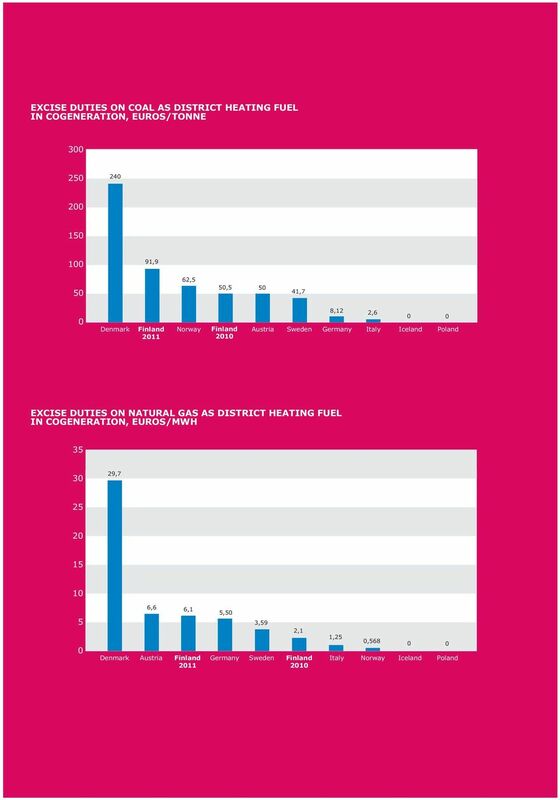 Taxation of fuels used for heat production in power and district heat cogeneration is by far the highest in. 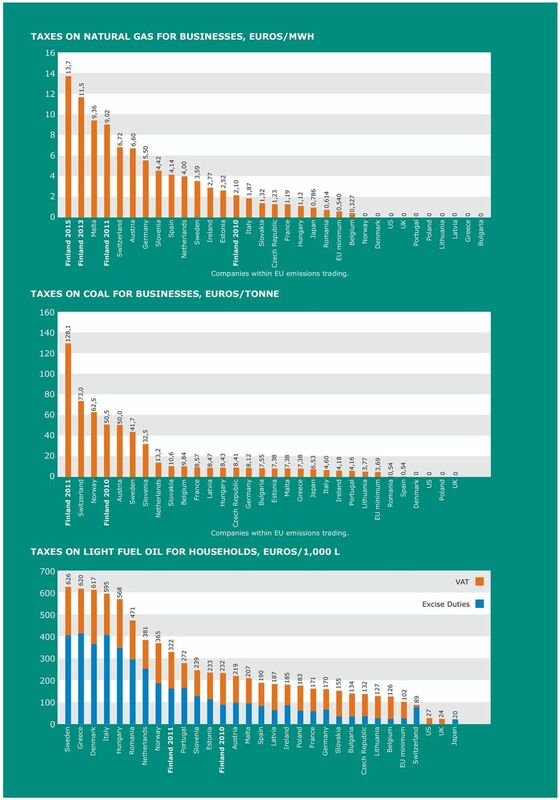 The taxes levied on coal for heat production in cogeneration in 211 in Finland are the second highest, and those on natural gas and heavy fuel oil the third highest. Tax incentives on the production of district heating through cogeneration exist in Finland,, and. In the countries studied, no other taxes were levied on district heat production. Iceland is the only country where district heating consumption was subject to a special consumption tax. This is a two per cent resource tax levied on the retail price. In Iceland,, and, a reduced rate of value added tax is applied to district heating. In two countries, electricity produced in heat and power cogeneration is exempted from electricity tax. 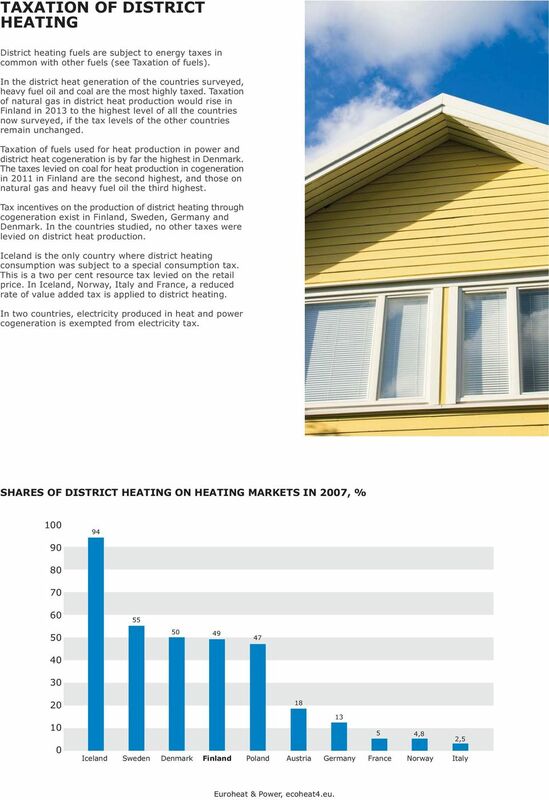 SHARES OF DISTRICT HEATING ON HEATING MARKETS IN 27, % ,8 2,5 Iceland Finland Euroheat & Power, ecoheat4.eu. 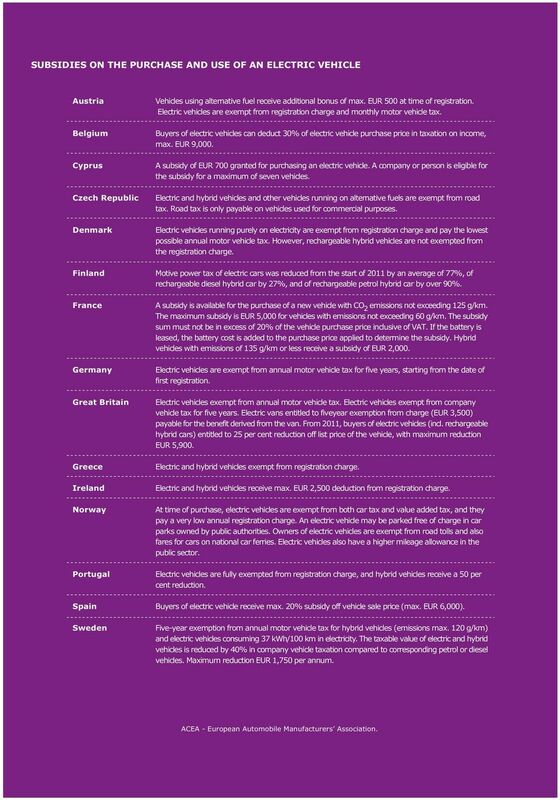 12 TAXATION OF TRANSPORT Of the countries included in the study, diesel is the most highly taxed in Great Britain, and, if the excise duty and value added tax are added together. The lowest taxes by a long way are levied in the United States. 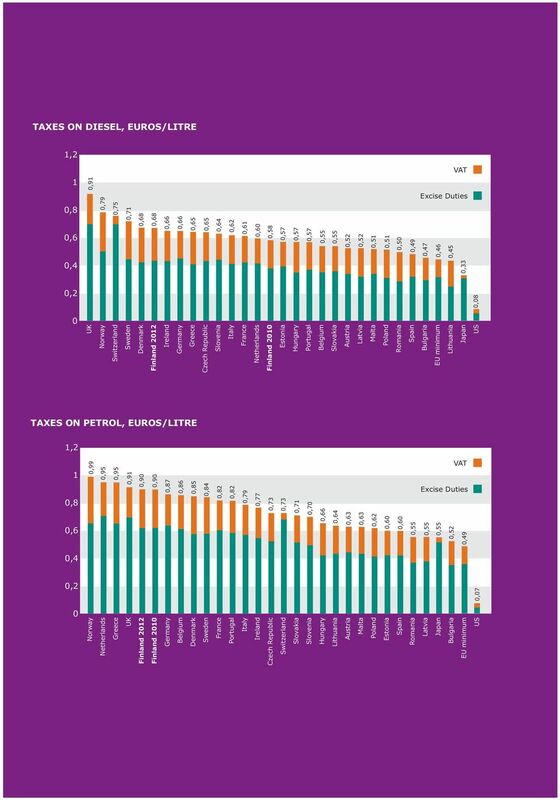 The highest taxes on petrol, with excise duty and value added tax combined are in, the, and Great Britain. In Finland, the total taxation on petrol is the fifth highest after the above countries. 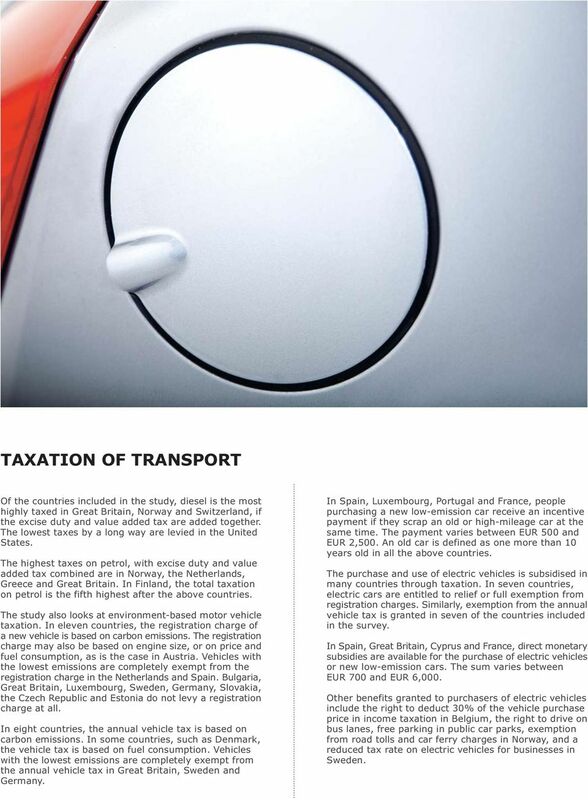 The study also looks at environment-based motor vehicle taxation. 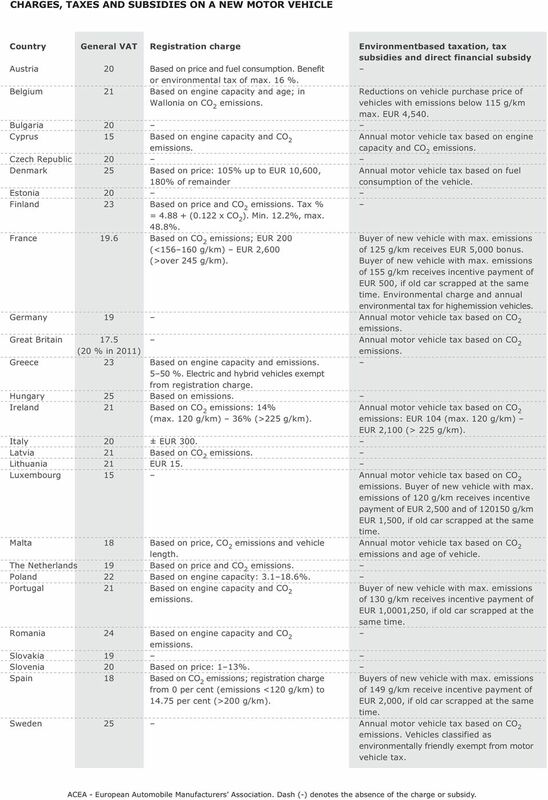 In eleven countries, the registration charge of a new vehicle is based on carbon emissions. The registration charge may also be based on engine size, or on price and fuel consumption, as is the case in. Vehicles with the lowest emissions are completely exempt from the registration charge in the and., Great Britain, Luxembourg,,,, the and do not levy a registration charge at all. In eight countries, the annual vehicle tax is based on carbon emissions. In some countries, such as, the vehicle tax is based on fuel consumption. Vehicles with the lowest emissions are completely exempt from the annual vehicle tax in Great Britain, and. In, Luxembourg, and, people purchasing a new low-emission car receive an incentive payment if they scrap an old or high-mileage car at the same time. The payment varies between EUR 5 and EUR 2,5. An old car is defined as one more than 1 years old in all the above countries. The purchase and use of electric vehicles is subsidised in many countries through taxation. In seven countries, electric cars are entitled to relief or full exemption from registration charges. Similarly, exemption from the annual vehicle tax is granted in seven of the countries included in the survey. In, Great Britain, Cyprus and, direct monetary subsidies are available for the purchase of electric vehicles or new low-emission cars. The sum varies between EUR 7 and EUR 6,. Other benefits granted to purchasers of electric vehicles include the right to deduct 3% of the vehicle purchase price in income taxation in, the right to drive on bus lanes, free parking in public car parks, exemption from road tolls and car ferry charges in, and a reduced tax rate on electric vehicles for businesses in. 14 CHARGES, TAXES AND SUBSIDIES ON A NEW MOTOR VEHICLE Country Cyprus Finland Great Britain Luxembourg The General VAT (2 % in 211) Registration charge Based on price and fuel consumption. Benefit or environmental tax of max. 16 %. Based on engine capacity and age; in Wallonia on CO 2 emissions. Based on engine capacity and CO 2 emissions. Based on price: 15% up to EUR 1,6, 18% of remainder Based on price and CO 2 emissions. Tax % = (.122 x CO 2 ). Min. 12.2%, max. 48.8%. Based on CO 2 emissions; EUR 2 (<15616 g/km) EUR 2,6 (>over 245 g/km). Based on engine capacity and emissions. 55 %. Electric and hybrid vehicles exempt from registration charge. Based on emissions. Based on CO 2 emissions: 14% (max. 12 g/km) 36% (>225 g/km). ± EUR 3. Based on CO 2 emissions. EUR 15. Based on price, CO 2 emissions and vehicle length. Based on price and CO 2 emissions. Based on engine capacity: %. Based on engine capacity and CO 2 emissions. Based on engine capacity and CO 2 emissions. Based on price: 113%. Based on CO 2 emissions; registration charge from per cent (emissions <12 g/km) to per cent (>2 g/km). Environmentbased taxation, tax subsidies and direct financial subsidy Reductions on vehicle purchase price of vehicles with emissions below 115 g/km max. EUR 4,54. Annual motor vehicle tax based on engine capacity and CO 2 emissions. Annual motor vehicle tax based on fuel consumption of the vehicle. Buyer of new vehicle with max. emissions of 125 g/km receives EUR 5, bonus. Buyer of new vehicle with max. emissions of 155 g/km receives incentive payment of EUR 5, if old car scrapped at the same time. Environmental charge and annual environmental tax for highemission vehicles. Annual motor vehicle tax based on CO 2 emissions. Annual motor vehicle tax based on CO 2 emissions. Annual motor vehicle tax based on CO 2 emissions: EUR 14 (max. 12 g/km) EUR 2,1 (> 225 g/km). Annual motor vehicle tax based on CO 2 emissions. Buyer of new vehicle with max. emissions of 12 g/km receives incentive payment of EUR 2,5 and of 1215 g/km EUR 1,5, if old car scrapped at the same time. Annual motor vehicle tax based on CO 2 emissions and age of vehicle. Buyer of new vehicle with max. emissions of 13 g/km receives incentive payment of EUR 1,1,25, if old car scrapped at the same time. Buyers of new vehicle with max. emissions of 149 g/km receive incentive payment of EUR 2,, if old car scrapped at the same time. Annual motor vehicle tax based on CO 2 emissions. Vehicles classified as environmentally friendly exempt from motor vehicle tax. ACEA - European Automobile Manufacturers Association. Dash (-) denotes the absence of the charge or subsidy. 15 SUBSIDIES ON THE PURCHASE AND E OF AN ELECTRIC VEHICLE Cyprus Finland Great Britain Vehicles using alternative fuel receive additional bonus of max. EUR 5 at time of registration. Electric vehicles are exempt from registration charge and monthly motor vehicle tax. Buyers of electric vehicles can deduct 3% of electric vehicle purchase price in taxation on income, max. EUR 9,. A subsidy of EUR 7 granted for purchasing an electric vehicle. A company or person is eligible for the subsidy for a maximum of seven vehicles. Electric and hybrid vehicles and other vehicles running on alternative fuels are exempt from road tax. Road tax is only payable on vehicles used for commercial purposes. Electric vehicles running purely on electricity are exempt from registration charge and pay the lowest possible annual motor vehicle tax. However, rechargeable hybrid vehicles are not exempted from the registration charge. Motive power tax of electric cars was reduced from the start of 211 by an average of 77%, of rechargeable diesel hybrid car by 27%, and of rechargeable petrol hybrid car by over 9%. A subsidy is available for the purchase of a new vehicle with CO 2 emissions not exceeding 125 g/km. The maximum subsidy is EUR 5, for vehicles with emissions not exceeding 6 g/km. The subsidy sum must not be in excess of 2% of the vehicle purchase price inclusive of VAT. If the battery is leased, the battery cost is added to the purchase price applied to determine the subsidy. Hybrid vehicles with emissions of 135 g/km or less receive a subsidy of EUR 2,. Electric vehicles are exempt from annual motor vehicle tax for five years, starting from the date of first registration. Electric vehicles exempt from annual motor vehicle tax. Electric vehicles exempt from company vehicle tax for five years. Electric vans entitled to fiveyear exemption from charge (EUR 3,5) payable for the benefit derived from the van. From 211, buyers of electric vehicles (incl. rechargeable hybrid cars) entitled to 25 per cent reduction off list price of the vehicle, with maximum reduction EUR 5,9. Electric and hybrid vehicles exempt from registration charge. Electric and hybrid vehicles receive max. EUR 2,5 deduction from registration charge. At time of purchase, electric vehicles are exempt from both car tax and value added tax, and they pay a very low annual registration charge. An electric vehicle may be parked free of charge in car parks owned by public authorities. Owners of electric vehicles are exempt from road tolls and also fares for cars on national car ferries. Electric vehicles also have a higher mileage allowance in the public sector. Electric vehicles are fully exempted from registration charge, and hybrid vehicles receive a 5 per cent reduction. Buyers of electric vehicle receive max. 2% subsidy off vehicle sale price (max. EUR 6,). Five-year exemption from annual motor vehicle tax for hybrid vehicles (emissions max. 12 g/km) and electric vehicles consuming 37 kwh/1 km in electricity. The taxable value of electric and hybrid vehicles is reduced by 4% in company vehicle taxation compared to corresponding petrol or diesel vehicles. Maximum reduction EUR 1,75 per annum. ACEA - European Automobile Manufacturers Association. 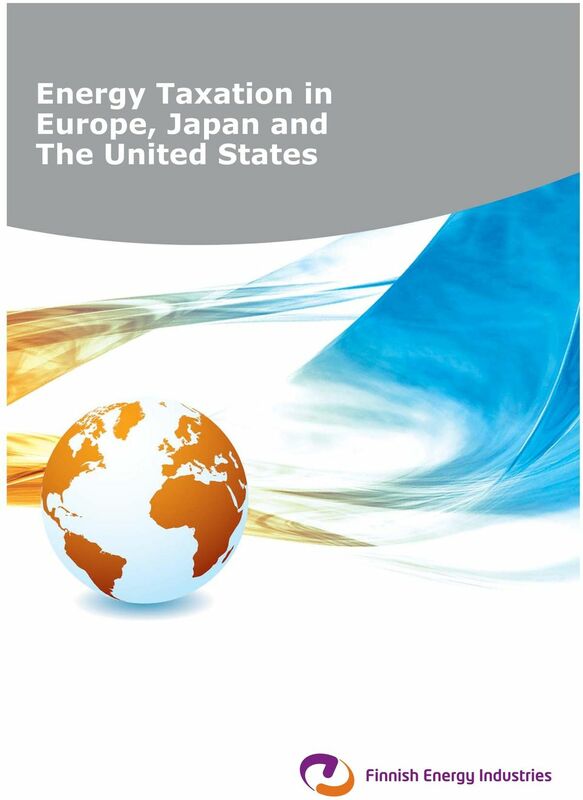 Framework of the energy taxation: the situation in OECD countries! Policy support tool: Methodology and manual Report Status: Final Report Date: October 2008 Disclaimer THIS DOCUMENT IS THE RESULT OF A COLLABORATIVE WORK BETWEEN HYLIGHTS INDUSTRY AND INSTITUTE PARTNERS. Technical Paper E1 (a) Energy Consumption in Cornwall. Cornwall Council January 2012. N.B. This is a live document that will be updated. IS ENERGY IN ESTONIA CHEAP OR EXPENSIVE? Norwegian electromobility policy for 2020 Per-André Torper Norwegian Ministry of Transport and Communications Oslo, June 11 th 2015 Sold cars in May 2015 1. Volkswagen Golf 1 323 2. Tesla Model S 346 3. Property Tax. 3. An alternative Building Energy Rating (BER) based Property Tax Proposal. Company Car tax. 2013/2014. IncludIng details of the 2013 emissions-based reforms, VehIcle excise duty and national Insurance. How Clean is Your Car Brand? 1. WHAT YOUR ANNUAL BUSINESS SURVEY FORM SHOULD COVER: Please read the accompanying notes before completing your return 2.